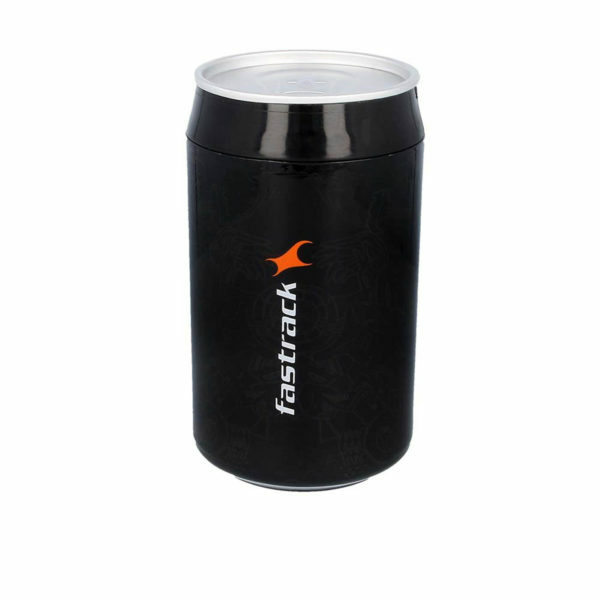 This analog watch for guys features a round-shaped brass case. The blue dial has plain three hands and black slanted marks at five minute intervals for easy time reading, and a black patterned detail. A crown lets you adjust the time easily. 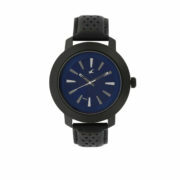 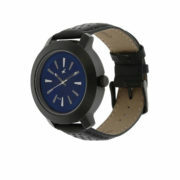 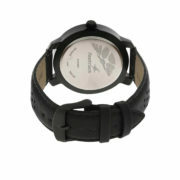 The watch has black leather straps with a perforated design. 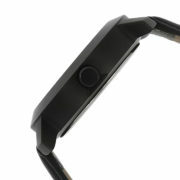 The watch also features a quartz movement type, 5 ATM water resistance.